...at least that's what our clients say. "They really know their stuff!" 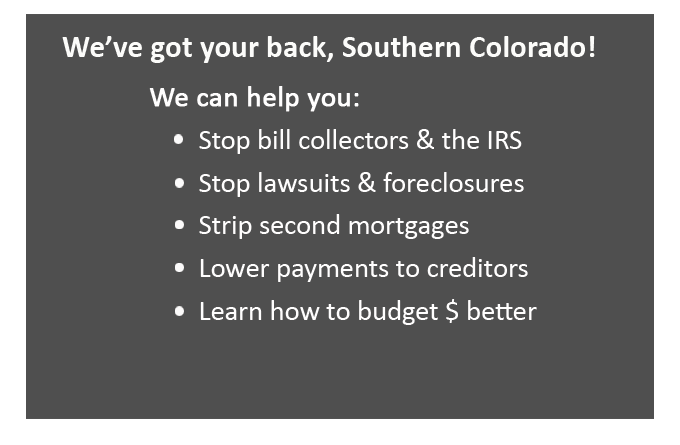 Since 1986, we have helped thousands obtain debt relief in Colorado. See how we can help you get a new financial start by filling out our free online consultation form. We will help you make a new financial start by eliminating or reducing debts through a variety of paths suited to your unique situation. relief and a new financial start. Why Hire Us as Your Bankruptcy Law Firm? Kindness. How often do you encounter it? At Swift Law Firm, we do our best to practice the Golden Rule. Treat others as you would like to be treated. We understand that sometimes you just need to start over, and every person deserves to be treated with kindness and respect. Please look at our reviews to see what our clients say about us. We hold your hand every step of the way, and make every effort to get you back on you feet again as soon as possible. We are one of the largest consumer bankruptcy firms in Southern Colorado. We have two Colorado Springs based bankruptcy attorneys, Stephen H. Swift and Matthew C. Hansen, and seven staff members. This means that we can give greater attention to your case; answer your questions more quickly; and bring to your case a team approach that outpaces our competition. Most of our competitors consist of one attorney and 1 or 2 staff members. This greatly limits the scope of the services they can provide. We confer daily about cases and situations and discuss how to best approach issues which arise. We continue to actively study the law and to attend continuing legal education courses to keep abreast of changes. We strive to be on the cutting edge in our field of practice. Stephen Swift has been handling consumer bankruptcy cases since May, 1988. 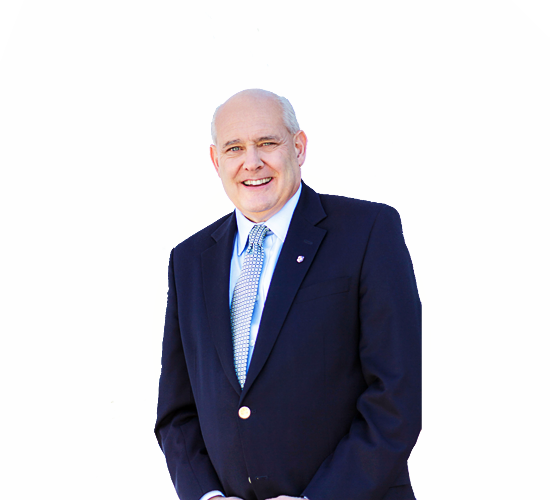 He and Mr. Hansen have combined experience of over 30 years in this area of the law. We offer the experience and know how that you can trust...all with a personalized approach to each client. We have the reputation of being able to handle the difficult case. We've been there, done that. We have been successful at discharging (having legally forgiven) student loans, IRS obligations, Colorado taxes, and home mortgages. We have also been successful in helping our clients with larger incomes qualify to file under Chapter 7, which is faster and less expensive. The Law Office of Stephen H. Swift, P.C. 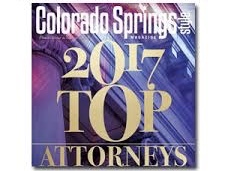 was recently selected again as one of four Top Consumer Bankruptcy Attorneys in Colorado Springs by Colorado Springs STYLE Magazine. This award was based upon a peer-to-peer online survey conducted in conjunction with members of the El Paso County Bar Association. Why Not Hire a Debt Resolution Agency? You see and hear them everywhere — advertisements promising to reduce or eliminate your debts. Some of these debt resolution agencies may be legitimate, but most agencies do not have the in-depth knowledge or the legal ability needed to fully protect the interests of their clients. Before you sign on with a debt resolution agency, you should compare what they can do versus what a bankruptcy attorney can do. If you are not careful, you can dig yourself a much deeper hole than the one you are in now. Before you work with a debt resolution agency or petition preparer, get the facts. Consumer Credit Counselors — in this model, the agency provides counseling in financial management techniques and consolidates a person’s debts into one monthly payment. There is one major problem with this approach — not all creditors may be onboard, and even those that are can take action at anytime to obtain a judgment against you. This leaves you with no legal protection. “Trash-Your-Credit” Agencies — these agencies collect a monthly payment that is put in a trust account. When there is sufficient money in the account, debts are paid off. Not all creditors may agree to the plan, and many creditors will grow impatient waiting for payment. You are unprotected during this time, and many creditors will seek a judgment against you. So you have made the decision to file for bankruptcy. What do you do next? Unfortunately, some people make the mistake of choosing to work with a bankruptcy petition preparer rather than a bankruptcy attorney. They think they are saving money, but in the long run it almost always costs them more. In some cases, the petitions these services prepare are rejected by the bankruptcy court, sending the petitioner back to square one. Additionally, a bankruptcy attorney will almost always be able to find exemptions that a petition preparer will not be aware of. Therefore, even though a lawyer will cost more at the outset, a bankruptcy lawyer will help you to preserve more of your assets, and ultimately save you money. It pays to work with an experienced bankruptcy attorney rather than a petition preparer or a debt resolution agency. An attorney can save you money, time and untold frustration. You will have the confidence of knowing that an experienced professional is doing everything possible to maximize your debt relief and allow you to retain as many of your assets as possible. At the Law Office of Stephen H. Swift, P.C., we have been helping people obtain debt relief for over 20 years. We use this experience to help our clients get a new financial start while protecting their rights at all times. The bankruptcy laws are a powerful tool that can provide debt relief and a new financial life for hard-working people. But many people take actions before filing bankruptcy which can harm their interests or even expose them to allegations of bankruptcy fraud. Before you take any actions regarding your debts or assets, you should speak with an experienced bankruptcy lawyer. At the Law Office of Stephen H. Swift, P.C., we have been helping people obtain debt relief since 1984. In a free consultation, Stephen Swift can review your situation and provide you with advice that can protect your rights and interests. Some basic information about what not to do before filing bankruptcy appears below. Every case is different however, so talk with an experienced attorney to protect yourself and get the most debt relief possible from the bankruptcy process. Do not max out your credit cards — Credit card debt is completely dischargeable under Colorado Chapter 7 bankruptcy, but that does not mean you can max out your cards in anticipation of filing bankruptcy. If it appears that you have done so, you may be held responsible for those debts. Do not transfer property or sign a quitclaim deed — Some people sell a house or transfer vehicles or personal property to relatives just before filing bankruptcy. This may not protect those assets and could be construed as bankruptcy fraud. Attorney Stephen Swift can advise you regarding what you can and cannot transfer before filing bankruptcy. Do not rely on a petition preparer or a debt resolution agency — In these troubled times, many organizations are promising debt relief to financially-strapped people. You should not rely on a petition preparer or debt resolution agency for advice. They may not be fully knowledgeable regarding what is and is not permitted under the bankruptcy laws. Your best option is to speak with an experienced bankruptcy attorney. Stephen Swift understands how to take full advantage of the bankruptcy laws to obtain debt relief for his clients. He can advise you regarding what you should or should not do as you consider bankruptcy. If bankruptcy is the right course of action for you, the Law Office of Stephen H. Swift, P.C. can file a Chapter 7 or Chapter 13 bankruptcy, and obtain maximum debt relief for you. What distinguishes your firm from other attorneys practicing in this area? The attorneys working for the Law Office of Stephen H. Swift, P.C., are some of the most experienced bankruptcy practitioners in Southern Colorado. 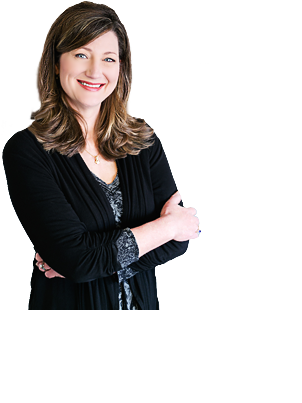 Our attorneys presently have over 35 years of combined experience. We have nine dedicated full and part-time employees on our bankruptcy team of experts. By having such a staff, it is our goal to attend to your needs and to answer your concerns as quickly and concisely as possible. Mr. Swift has successfully handled thousands of bankruptcy cases. Some of the cases have involved complex issues such as the discharge of student loans (Loudy vs. U.S. Department of Education), the discharge of federal and state taxes (In re Smith), allegations of fraud (Twin Duchess vs. Vanaman) and the discharge of pension fund benefits (Colorado Ironworkers Trust Fund vs. Popovich). How does filing bankruptcy help protect me from creditors? What types of debt are not dischargeable? What are the differences between filing a Ch. 7 and a Ch. 13? Which one will let me keep my property? over the last 25+ years we have been practicing law in Colorado. reminders sent by the El Paso County Bar Association encouraging participation. tax debts and student loans, allegations of bankruptcy fraud and other matters. ​About 50% of the practice is devoted to litigation. Mr. Swift received his law degree at Saint Louis University School of Law in St. Louis, Missouri. He graduated from Brigham Young University with a B.A. degree in both English and in History. ​In addition to English, he also speaks both French and Spanish. In re Moosman, 437 B.R. 385, affirmed 2013 WL 4460001.
the debtor is entitled to keep when filing bankruptcy. entitled to keep when filing bankruptcy. conducted in conjunction with members of the El Paso County Bar Association. the El Paso County Bar Association encouraging participation. "My attorney (Matthew Hansen) is a very kind person. I felt very confident in his skills. He is very knowledgeable and efficient. He didn't make me feel embarrassed to be filing for bankruptcy. Thank you Matthew! Laura was very friendly, and everyone I interacted with was very nice and helpful as well. " "Cris was professional, helpful and so kind. We rate the quality of the legal expertise we received a 10 out of 10!" "Mr. Swift is a man of great integrity. I felt like I was in secure hands from start to finish. I believe he is trustworthy and honest. He's an ethical man in every way! " "We found Swift Law Firm while doing a search online. We are so glad we did! The entire staff was very friendly and professional, and they didn't make you feel stupid for having to file. "